For Cuba, the flow of oil stopped suddenly with the collapse of the Soviet Union. While it will be for different reasons and from different causes, the end of the supply of oil is on the horizon. Countries could prepare for the future... if they want to. The crisis hit all sectors of society. The oil dependent industrial model established during 1959-1990 collapsed with more than 50% cut of the oil supply. The government, however, chose to maintain all social achievements, especially in the areas of education, social security and health. It was as if the floor under one’s feet had been sawn away. Most people were forced to change their life styles, some had to quit their jobs, others had to change their diet, many lost their otherwise good purchasing power and comfortable life. This emergency situation, their worst economic and social crisis of recent history, became known as the Special Period. 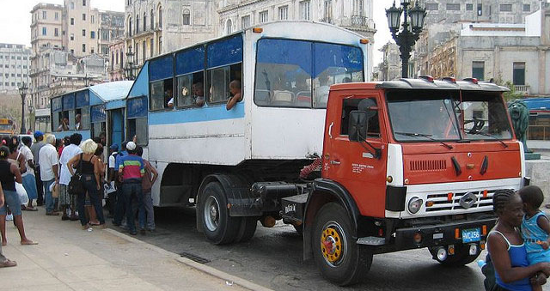 In the worst moment of the crisis, the Cuban government decided to “go green”. Attempts to cope focused upon food provision, transportation and housing. From 1993-97 the government launched a package of economic and social reforms that created the framework to shift from an oil dependent industrial model to decentralized, open to the world, and less oil dependent production. Strategic changes shifted priorities from the sugar industry to tourism, which required investment in hotel infrastructure, provided through the government as well as joint ventures. Brainpower was mobilized, consistent with Fidel Castro’s statement in 1991 that “Oil could be very important, but more important is to have brains; actually, there are highly developed countries that have no oil.” Cuban science entered a new era when an extended network of scientific centers came into being between 1991-95, mainly oriented towards biotechnology and pharmaceutical research. A shift within the universities placed academics in the newly created research centers, such as CIDEM (Center for the research of materials and structures) and CECAT (Center for the studies of the tropical construction and architecture) , that transferred many academics toward research and development in the field of construction materials. Decentralization was the mechanism for many of the attempts to cope. 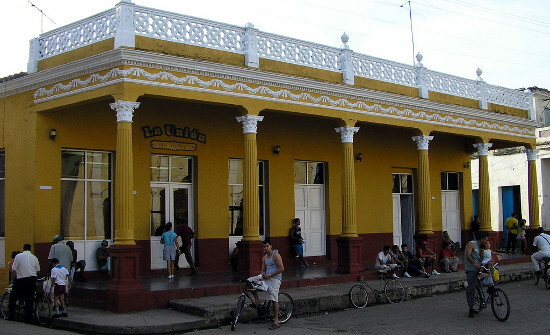 Raul Castro, head of the armed forces at the time, declared that “beans were more important than canons” and the ministry became a pioneer of decentralization. In a shift away from a centralized guided economy, local governments were empowered to become the real leaders in terms of development. The traditional diet of rice, beans, manioc and pork was dependent upon imports, whether grains to feed the animals or fertilizers and pesticides for the large farms. The scarcity of food reduced the caloric energy received through diet and 27% of the population lost 10% of their body weight, although nobody was starving.. Creative responses were urgent. To ensure that food was available the food market was split into the formal state owned market (40%), the agricultural free market (30%), while the informal and black market accounted for the remaining 30%. Large state-owned farms were divided into smaller units that were given the right to own the land and sell their production through special mechanisms. A fish-farming program was launched. Vegetable gardens sprouted in neighborhoods throughout the country, that because of the lack of chemical fertilizers inevitably became organic gardens. Not only did they employ people productively, they contributed greatly to the quality and quantity of food provision in Cuba during those harsh times. Ordinary citizens had access to a different but healthier type of diet: fish and organic vegetables. Transportation became a nightmare! Short distance transportation had the widest impact on daily life. As the public transit system had to downsize because of the fuel shortage, the country invested immensely in bicycles and they became the best alternative. Ideas were imported such as bici-taxis from Asia. The dramatic increase in exercise reflected in a drastic reduction of diseases like obesity and heart problems. Between 1997-2002 deaths caused by diabetes dropped 51%, mortality due to coronary problems fell 35%, and strokes decreased 20%. Fidel Castro remarked that he hoped when this special period was over Cubans would never lose these good habits. Medium distance and inter-city mobility was severely affected, shrinking the number of trips drastically. A few official cars continued to circulate as well as a few others, often occupied by only the driver. Thus, local points were established where all state-owned cars were obliged to stop and pick up passengers. Often private cars volunteered to stop at these points and collect passengers. 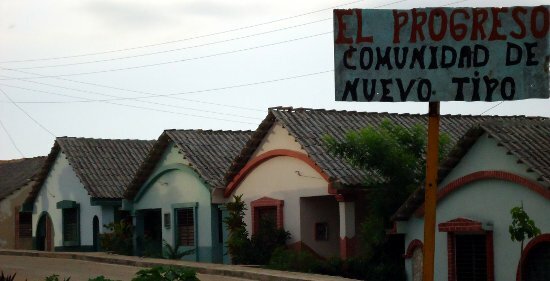 As housing is a constitutional right for Cubans, the housing programs continued to be a priority. The reduced availability of materials like cement and steel prompted a local movement for production of low energy consumption materials. The Union for Military Constructions shifted from building trenches and bunkers to construction of social housing. The sugar ministry changed to lower energy footprint. 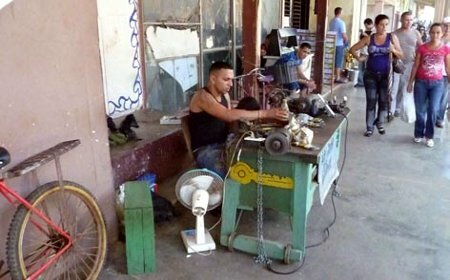 Cuba survived the worst situation of all times because of the sacrifices made by the Cuban people combined with the impact of the economic reforms taken during the first half of the 1990s.